This state-of-the-art educational complex includes six kindergarten and six first-grade classrooms that enclose a large central lawn. Four of the classrooms are located on the upper floor of the two-story City House, while the main student dining/multipurpose room and serving kitchen are situated on the lower floor. The former dormitory and previous kindergarten building, Wilcox Hall, was restored and adapted into a new home for art and music classrooms, a creative learning center, teacher commons, and administration. An outdoor amphitheater was created between Wilcox Hall and the classroom buildings. The classroom buildings, which integrate outdoor lanais with the classroom interiors, were designed for natural ventilation and daylighting to the fullest extent. Rooftop photovoltaic arrays allow the buildings to achieve net-zero energy consumption at various times of the day. Rainwater from the roofs is captured in cisterns and used to water the children’s garden plots. 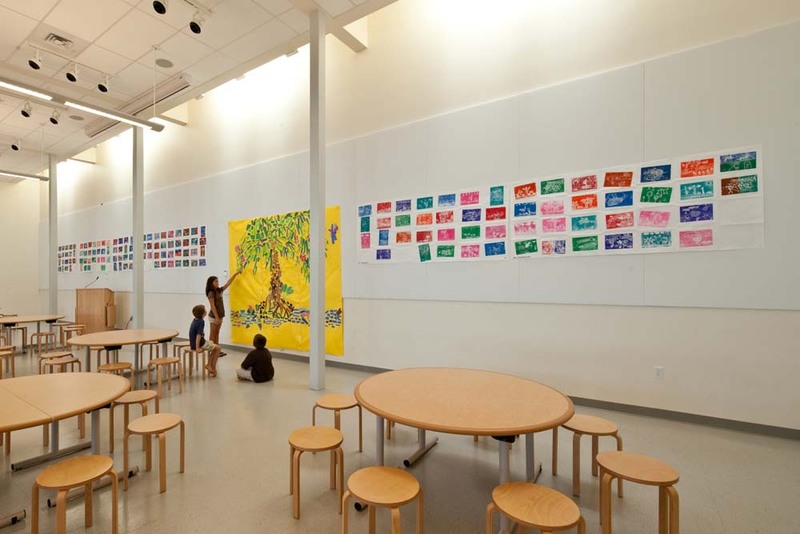 Achieving LEED Platinum Certification in 2011 and LEED Gold EBOM in 2013, the Omidyar K-1 Neighborhood is a model of environmental stewardship, with sustainable features that are integrated into the children’s curriculum and made visible as teaching tools.